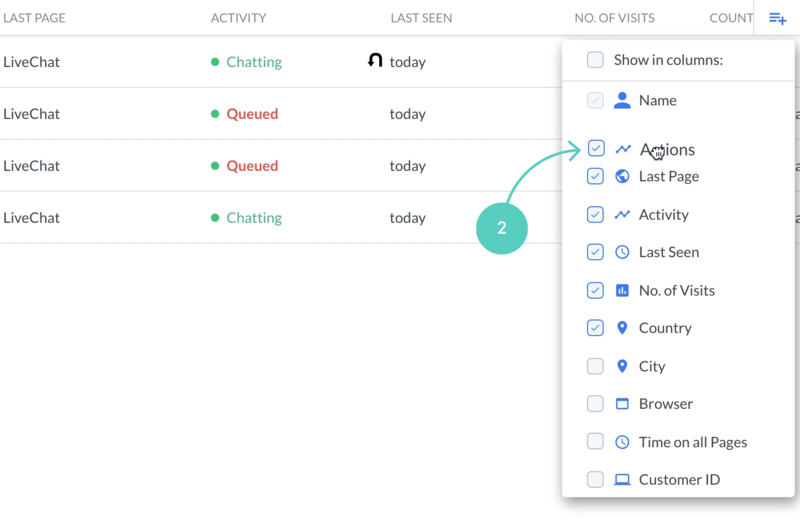 Customers section shows a real-time list of your website’s current visitors. It gathers all sorts of useful data about them, e.g. name, e-mail address, location, time spent on your website and many more. You can utilize it to spot prospective customers or simply make their customer experience better. 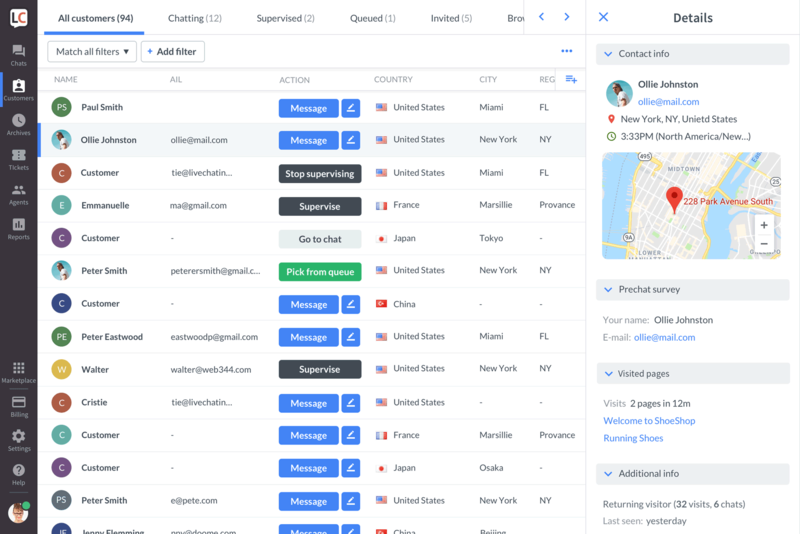 You can treat the customer list as a virtual representation of your page. If you own an online shop, the customer list represents that shop. Visitors on different pages are like customers in different shop isles. 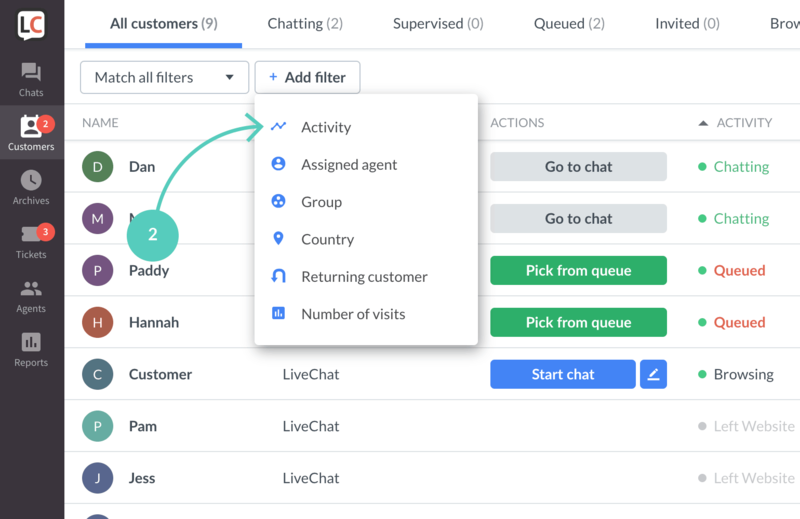 The customer list helps you get in touch with those visitors and offer relevant advice on their purchases. You can use various data provided in the customer list personalize your messages and win your customers hearts. Device information – see how your customers browse your website. A good indicator of how important mobile is for your business. Customer id – a unique number that can be used, for example, to look up archived chats, and tickets. 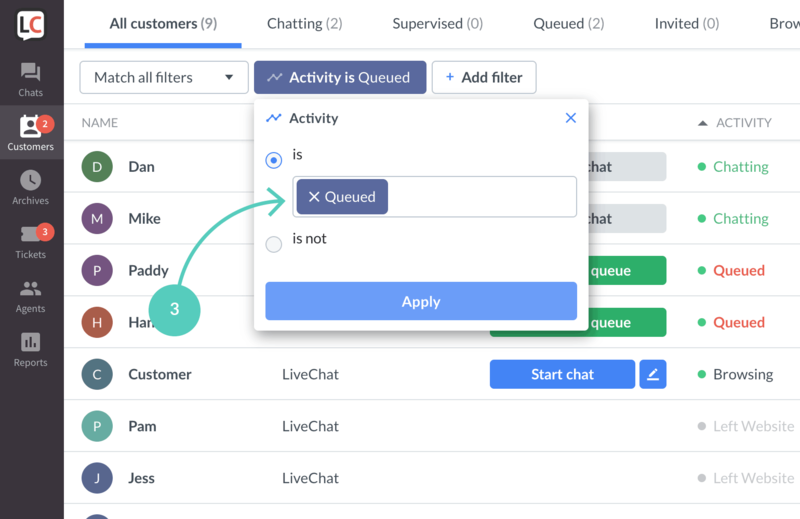 Customizing what data should be displayed in the Customer section is quite easy. You can add/remove data columns depending on your needs (only Name and E-mail are turned on by default and can’t be turned off) and rearrange the order however it suits you. Click on the plus icon in the top right corner. Drag and drop data columns you want to reorder. 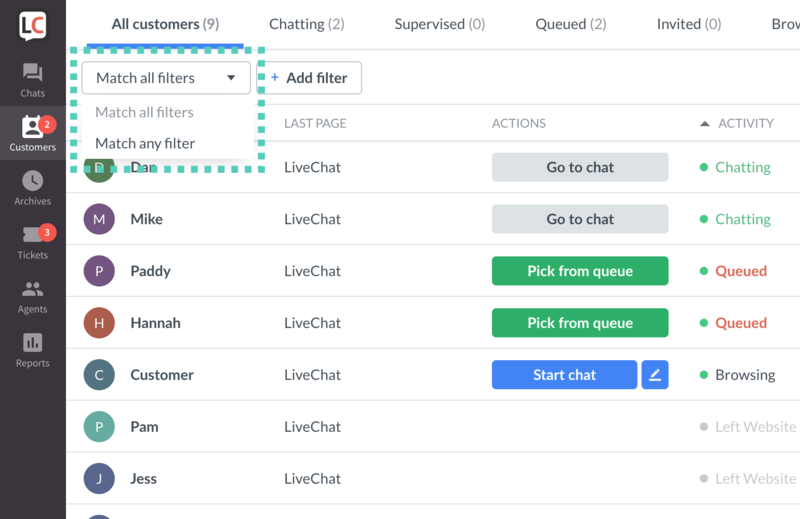 At the top of your customer lists you can find filters. 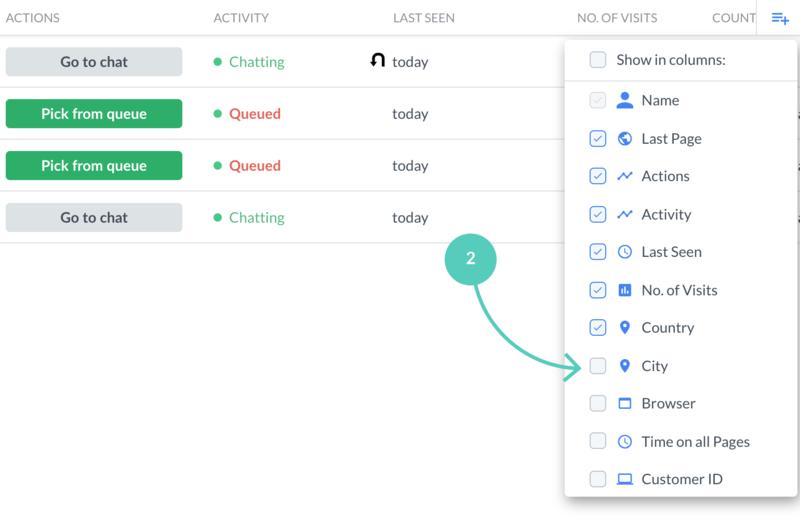 Use them to find and target a very specific group of users. For instance, users who have visited your website at least ten times and come from a specific country. When using filters you can decide if you want the data to match all filters or any of them. Click on + Add filter. Select a filter that you want to use. That’s it. You can apply more filters by repeating these steps. 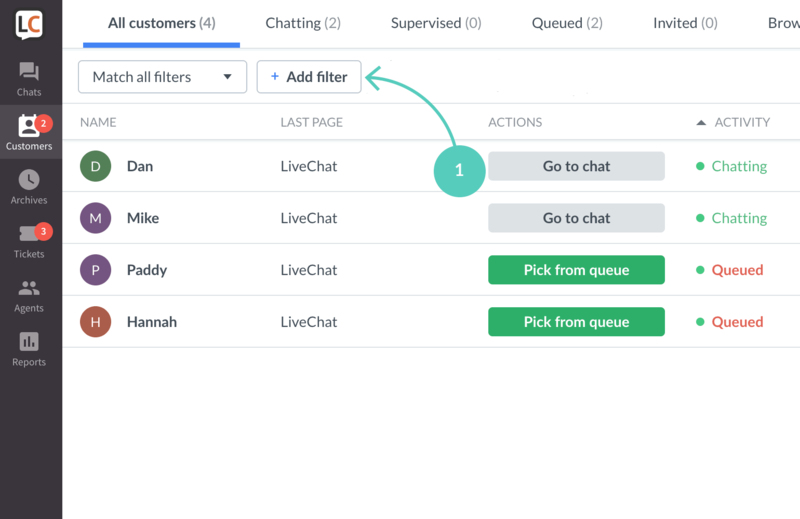 With so many options, it would be really painful to set up the filters over and over again every time you log in to LiveChat. This is why we came up with Segments. 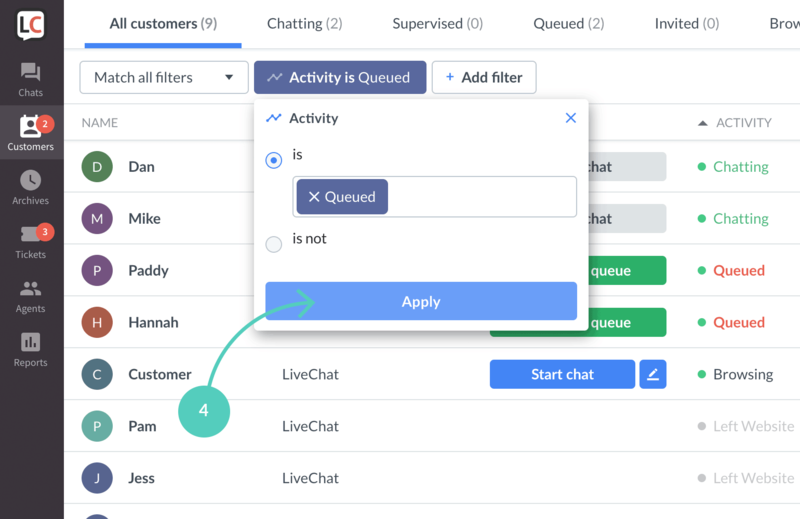 Segments are filter combinations you can access quickly. At the moment, there are a couple of predefined segments for you to use. In the future, you will be able to configure and store your own segments. 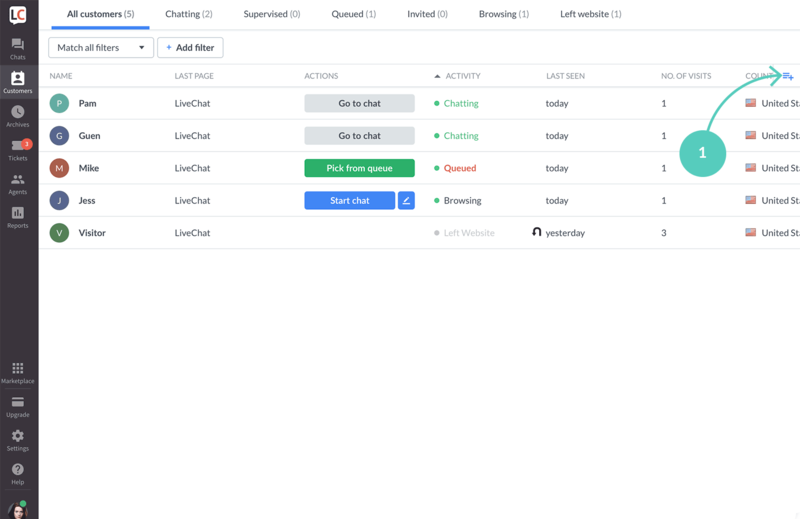 Left website – all visitors who left the chat since you visited the customers section. You site’s visitors can be invited automatically through greetings and manually in the Customers section. 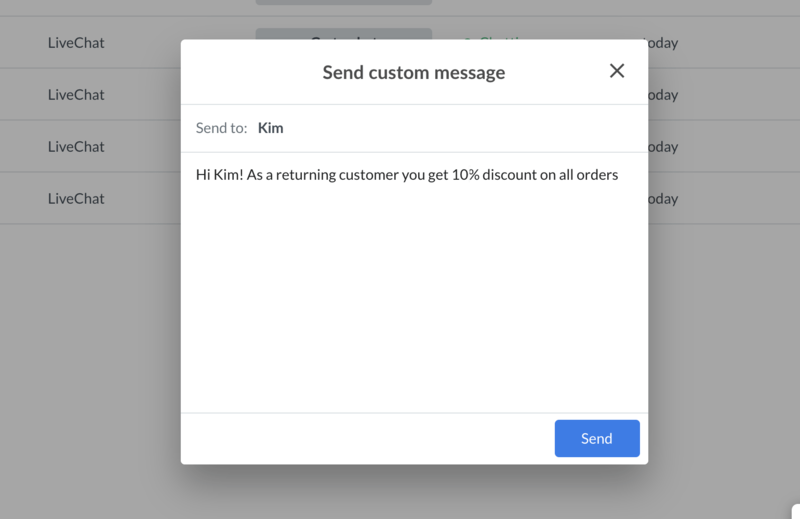 In this section, we will show you how to invite customers manually. 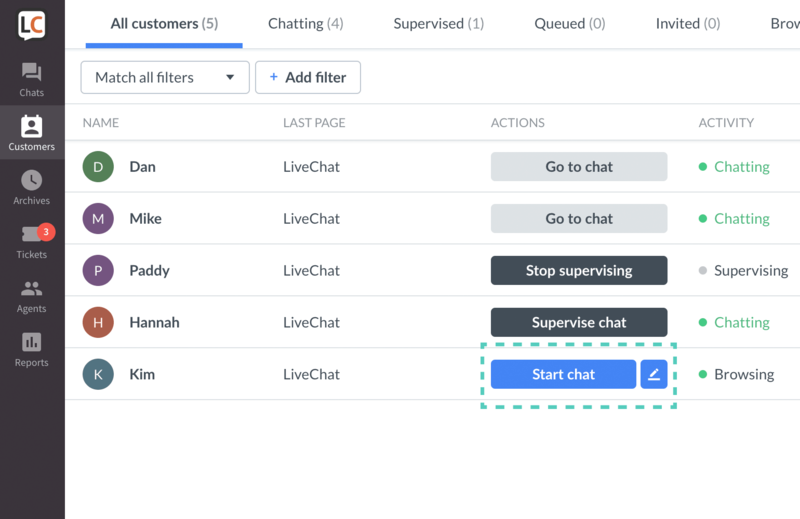 You can invite a customer either by clicking on Start chat – then a standard welcome message will be sent. You can also send a customized message by clicking on the pencil icon. Which is highly recommended as personalized messages have higher response rates. 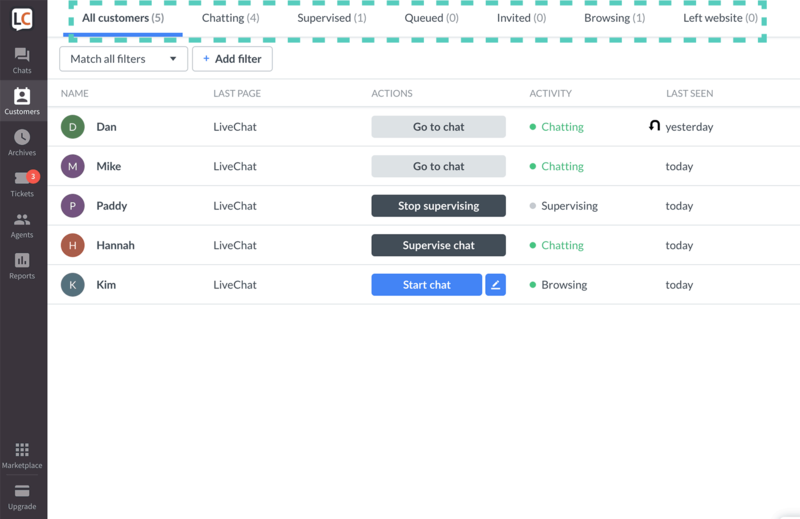 Chat supervision can be used to either check how your agents are doing or to train and help new members of your team. To supervise a chat, click on Supervise chat. You will covertly join the ongoing chat. Neither the agent nor the visitor will know that you are now watching their conversation. 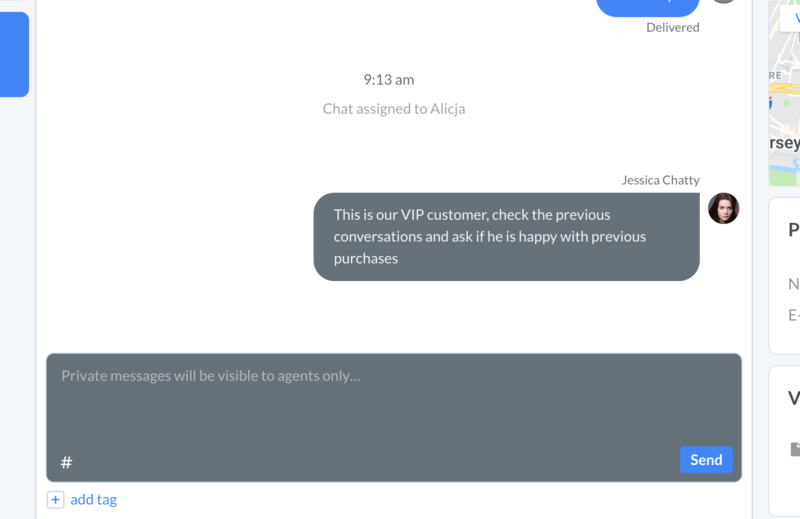 If you want, you can write messages in the conversation that only agents can see (they appear as grey bubbles).